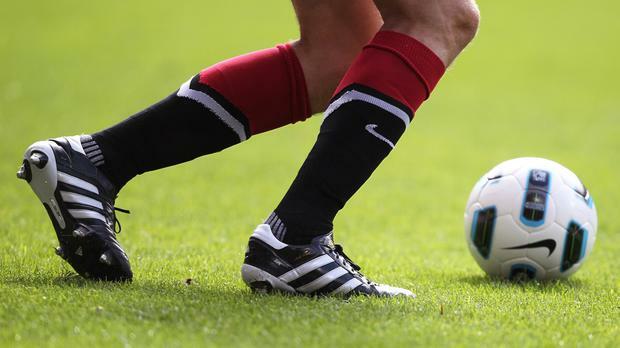 A middle-aged soccer player, who gashed his knee while training on an all-weather pitch, has settled a €38,000 damages claim against his club, Darndale Rovers, and O’Tooles GAA Club. Barrister Conor Kearney, counsel for Darren Carroll who was 39 when the incident occurred, told Circuit Court President, Mr Justice Raymond Groarke, that the case had settled for an undisclosed sum and could be struck out against both clubs. He said there had been talks with Paul O’Neill, counsel for O’Tooles GAA, where the training had been taking place, and with Ivan Daly, counsel for Darndale Rovers where Mr Carroll had been a member. Mr Kearney, who appeared with Gaffney Halligan Solicitors, said that “during a meeting of minds” it had been agreed the case could be struck out with along with all previous court orders in the proceedings. Carroll, now aged 46, a window cleaner of Buttercup Park, Darndale, Dublin 17, had been playing a training match with his club team mates on O’Tooles all-weather pitch at Blunden Drive, Ayrfield, Dublin, which had been rented by Darndale Rovers for training prior to the 2010 season. He claimed he had gone in for a tackle on a player near the end line of the pitch and had continued sliding into a steel upright in a chain-link fence lacerating his knee across an area of six inches (15 cm). Carroll had been taken by ambulance to Beaumont Hospital where what was described as “an extensive horizontal laceration across his right knee joint” had been cleaned and sutured in layers under local anaesthetic. He had afterwards attended the hospital’s Dressing Clinic on three occasions. Mr O’Neill, who appeared with Donough Shaffrey of Shaffrey Solicitors for O’Tooles GAA, had entered a full defence to Carroll’s claim as had Mr Daly, who appeared with Hayes McGrath Solicitors for Darndale Rovers FC. O’Tooles had been sued in the name of its secretary Paul Jennings while Darndale Rovers had been sued in the name of secretary Declan Andrews. No details of the amount of settlement were disclosed in court.